In 2016, the Athens International Airport recorded an all-time high performance, with 20.02 million passengers, surpassing previous year traffic by 1.9 million (+10.7%). Both domestic and international passengers achieved double-digit growth levels of 11.2% and 10.4%, respectively, reaching 7.15 million and 12.87 million. This growth was driven by both the Greek residents’ dynamic growth of 15%, as well as the foreign residents’ robust rise of 8%. 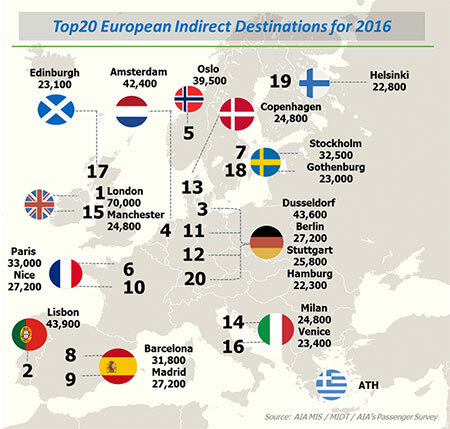 With a YTD increase of almost 9%, this trend continues within 2017, which is the fourth consecutive year of substantial traffic and route developments for Athens International Airport. 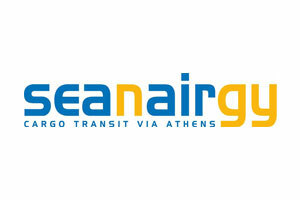 In specific, in the supply side, the Athens market is characterized by the dynamic expansion of the international route network of the airport’s home based carriers, the successful performance of Greek and foreign visiting carriers coupled with the introduction of additional frequencies and new routes, the increase of low cost carriers operating to our airport and spectacular long – haul development. Overall, with 12 new routes and almost 300 additional weekly flights, 2017 is highlighted by the expansion of our home based carriers, Aegean and Ryanair, the significant strengthening of AIA’s connectivity with the addition of year-round long-haul routes, New York and Singapore, by Emirates and Scoot respectively, and the addition of frequencies and destinations by our airline partners. The capital of Greece and main aviation hub in the country. Greece is strategically located at the crossroads of Europe, Asia, and Africa, situated on the southern tip of the Balkan peninsula. Greece has the longest coastline on the Mediterranean Basin and the 11th longest coastline in the world, featuring a vast number of islands, of which 227 are inhabited. 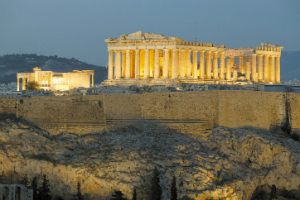 Greece’s rich historical legacy is reflected by its 18 UNESCO World Heritage Sites, among the most in Europe and the world. 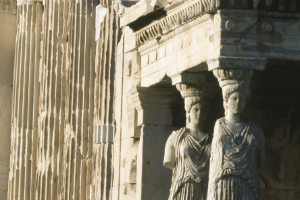 Greece’s unique cultural heritage, large tourism industry, prominent shipping sector and geostrategic importance classify it as a middle power. It is the largest economy in the Balkans, where it is an important regional investor. The largest Greek seaport and one of the biggest in the Mediterranean Sea. Connecting distance from the airport is 50 km and served by metro line, road and public bus service. Port of Piraeus is managed by Cosco and for 2016 managed to exceed 1 mio passengers in cruise home porting. Cosco unveiled plans to boost home porting performance with Chinese tourists and target to exceed 3 mio in a few years. Ongoing traffic growth: 2018 is planned to deliver _ 5 new airlines, 2 additional airlines based at Athens, 3 new Countries, 24 new Destinations from Athens ad over 300 additional weekly frequencies on existing routes. Understanding our business partners’ needs and providing sustainable solutions to business development plans are top priorities for us at AIA. This is why, we respond to your requests for longer lasting and even more generous business development support, by delivering more to you every day. Towards this direction, we review & update frequently our incentive policy, aiming to offer a contemporary, strong & attractive portfolio. Celebrating the fully renovated Schengen Area, Athens passengers travelling on 28 & 29 September, had a unique chance to enjoy a series of entertaining events, turning their trip into a memorable surprise! 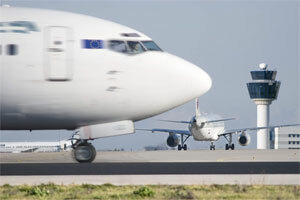 In line with Athens International Airport risk- sharing strategy and integrated marketing approach, a number of Incentives & Supportive actions are available. 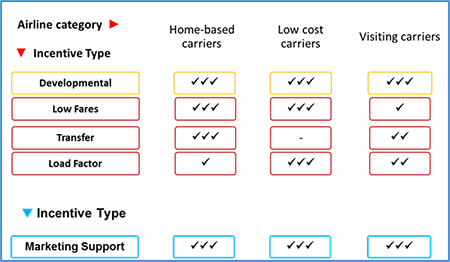 The Incentives’ schemes and Marketing Support offered are highly-sophisticated, extremely generous, 5-year schemes, offering discounts both on aircraft – related as well as passenger-related charges. On top of the above commercial schemes, an integrated Marketing Plan is designed and offered, inclusive of but not limited to, inaugural celebrations, advertisements, promotions, Press & Trade events, Destination Marketing activities & actions, e-media, innovative ways of promotion and advertising, etc. in order to assist Athens operating airlines to increase sales and commercial revenues, via awareness enhancement & stimulation of demand. 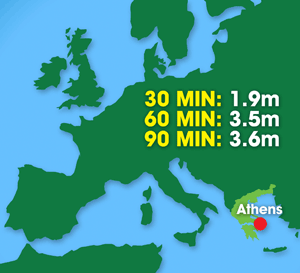 Europe’s seventh largest city with a core catchment of up to 6 million people. 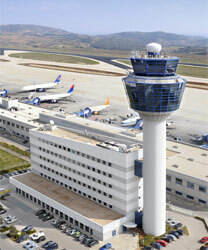 Ports: Athens airport is well connected with 3 ports in the area. Special Offer: 3-days Tourist Ticket for Bus, Trolley-Bus, Tram and Metro (included one journey form and to the Airport), 22 euro per passenger. 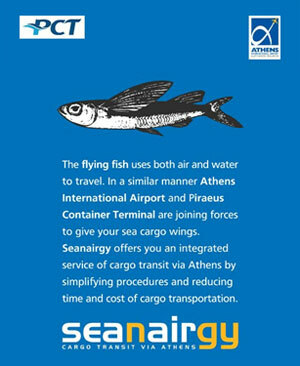 The combination of air and sea transportation via the port of Piraeus and Athens International Airport. Greek ports are strategically located and they are developing to become regional logistics hubs for goods travel from Asia to the European Community. The main port of Greece, Piraeus is a large port with significant capacity both as a container port and as a car terminal. It is also close to the main Mediterranean maritime route (210 nm) and provides access to a large logistics center in Thriassio and a high-speed cargo train route leading into Europe. 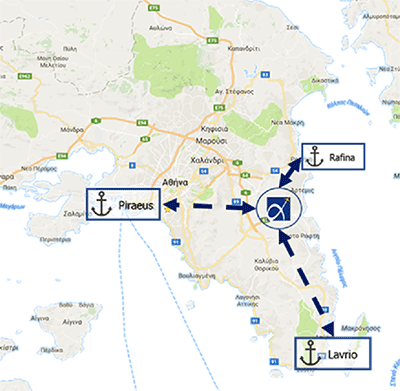 All this allow Piraeus to serve both as a transshipment center and a gateway port to Europe. From 2010 on, the Piraeus container port and car terminal started a remarkable recovery path partly due to the arrival of COSCO Pacific as operator of the ‘Pier 2’ facility. 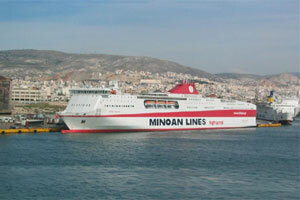 Piraeus reappeared in the top 15 European container ports with a total capacity of 3.6 million TEU. Piraeus’ increased capacity and efficiency, its new cargo train connection to Europe and the shorter, more direct access to Asia through established shipping routes has established Piraeus as the premium import point from the manufacturing countries of Asia (China, Japan, Korea, India) to Europe. The potential for Greece to become a major logistics, distribution and assembly hub for Europe has been recognized by major investors such as Chinese COSCO, which is already heavily invested in the Piraeus port. 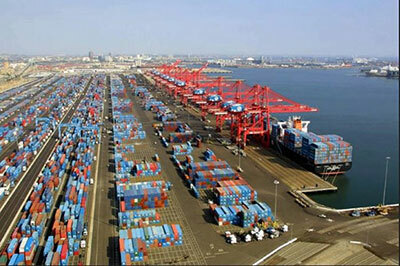 On January 22, 2015, COSCO inaugurated a new investment of 230 million Euro for the expansion of the ‘Pier 3’ of the port. Also significant is a recent agreement between the Hellenic Rail company TRAINOSE and HEWLETT-PACKARD (HP) for the exclusive transport of HP goods coming through Piraeus to the European markets. Following the same path, in December 2013, HUWAEI established a pilot distribution center in the Port of Piraeus whereas ZTE Corp has recently announced that a logistics center, will be developed in the Port as well. 2 independent parallel runways, separation 1,575 m for independent operation. Runway 1: 4,000m Cat II. Runway 2: 3,800, Cat II. 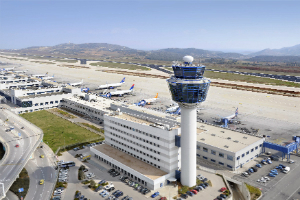 As regards passenger experience and terminal services, following the completion of a full remodeling of the non-Schengen area in 2016, with the introduction of centralized security, Athens International Airport just completed an even bigger-scale renovation and redesign project affecting the entirety of the Schengen zone and a large part of the Departures All Users area, in terms of both aesthetics and functionality, aiming at delivering a unique airport experience to both passengers and visitors.